Rediscover the fun in building card houses! 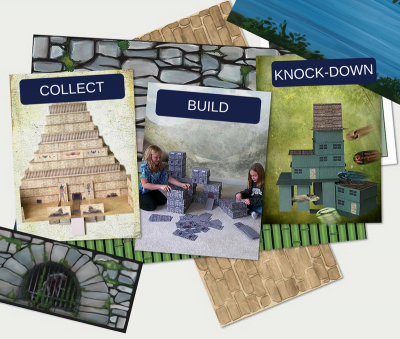 Kardtects collectible building cards makes building amazing card structures easier, faster, and more rewarding than ever before. Their unique texture, thickness, and size enables builders to reach exciting levels with a new found ease. Plus their artistic features, and Destroyer Disks (for knock down fun) add to the thrills. Collect them all!